Wondering what game to get from the Playstation Store next for your PS Vita? Well, if you’re craving for some old school Japanese RPG goodness, then you’re in luck — Final Fantasy III will be available for download on September 25th. Now, PSP owners will be able to experience a piece of FINAL FANTASY history as they embark on a journey with the four Warriors of Light — Luneth, Arc, Refia, and Ingus — as they battle to save the world from being engulfed in Darkness. A dangerous mission, to be sure; to accomplish their task, they will need an incredible set of skills. 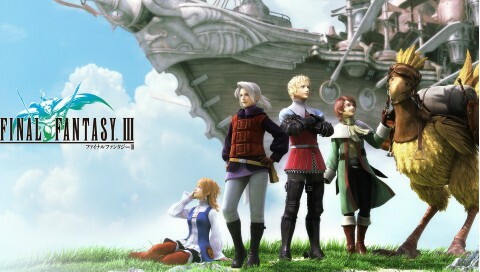 FINAL FANTASY III was the first installment in the series to include the now-famous Job System. While this band of heroes starts out as Freelancers, with time, they will each be able to learn one of 23 different jobs! Use the healing spells of the White Mage to protect your party, harness the negative energies of the world as a Dark Knight, or turn the environment itself into a weapon as a Geomancer. These are but three of the many options available — there’s a multitude of incredible of job combinations for your party. Mix and match until you find the combination you like best! But there’s more! New features for the PSP version include: graphics optimized for the 16:9 screen, an image gallery, an option to switch to the original BGM, and an auto-battle system that doubles the speed of combat. If you’re itching to complete your Final Fantasy collection or are curious what the earlier Final Fantasy games were like, then downloading this for your PS Vita is a no-brainer. 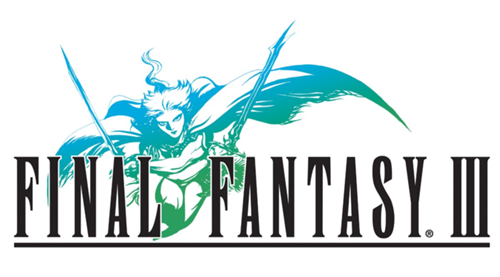 Will you be getting Final Fantasy III for your PS Vita? What’s your favorite job in the job system? Let us know in the comments below!